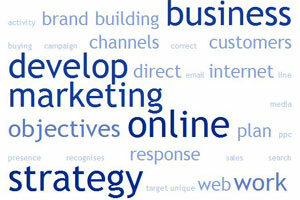 A successful web marketing campaign depends on developing the right strategy. We'll work with you to develop a strategy that meets your business objectives (brand building, direct response, online sales, etc) and gives you the web presence you want. Rather than taking a piecemeal approach to your online marketing activity it makes sense to put together a top-down plan of how to present and promote your business on the internet. If you need help with this we can work with you to shape your online marketing strategy and then implement it via the correct planning and buying of online media, such as PPC, email marketing and other channels. Your online strategy needs to be in line with your general business objectives and reflect how your target customers interact with the internet - via search, social networking, etc - and also which channels they react best to for a particular business objective (e.g. brand building, direct response, etc). With the online environment changing so fast your strategy needs to constantly evolve. Novel online services are continually emerging. Where and how people access the internet is also changing fast with the current theme being mobility - accessing the internet "on the move". It's the rise of the hand held device. All this means that the strategy you follow this year will need to change for next year, and we can help you make those changes. No two business are alike and so every online marketing strategy is developed from scratch. We'll work with you to develop a plan that recognises the unique characteristics of your customers and also your business objectives. However, if you know what sorts of online marketing you need and you just want us to sort it out and get on with it for you then that's fine too. Contact us to discuss your requirements.